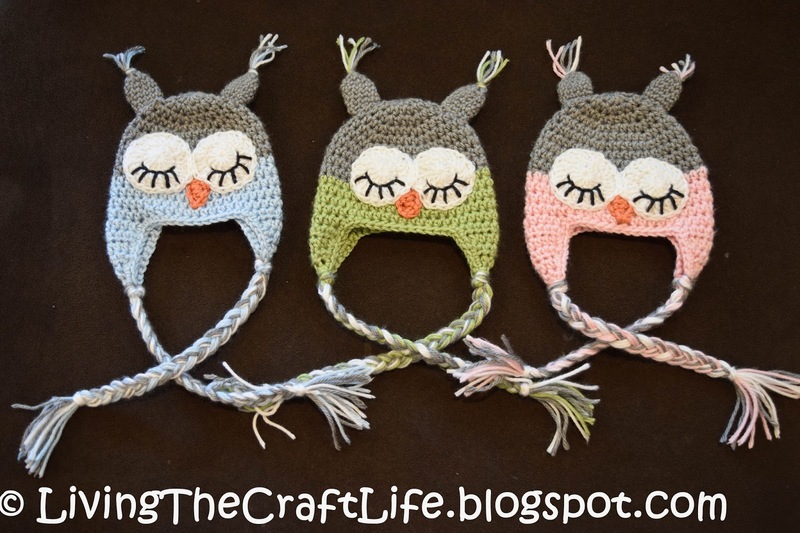 Living the Craft Life: Triple the Fun! 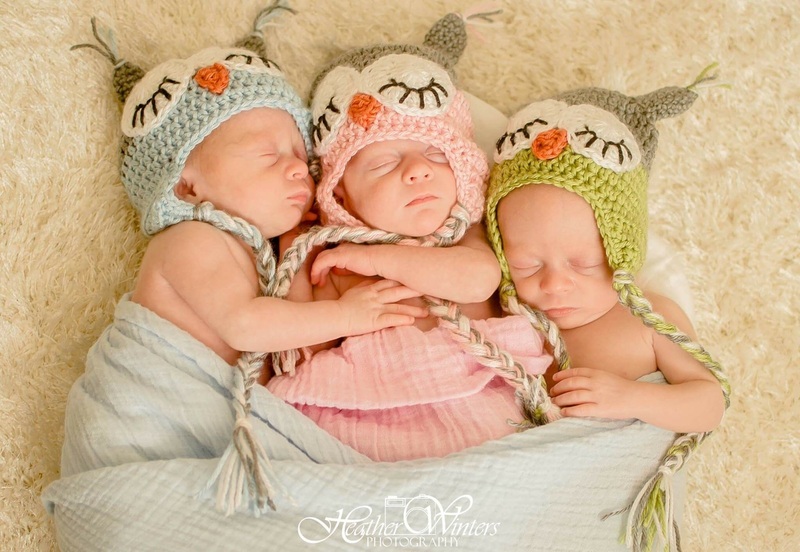 I have a friend who recently had TRIPLETS! I've seen friends (and family) have twins and while I've never had to go through that, I can attest that it is a huge challenge. I decided to make her some cute owl hats that I've made several times before. I was glad I had started right when I was invited to the shower. 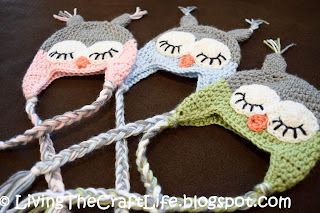 I didn't know how long the owl hats would take to complete, and I had about a month before the shower. 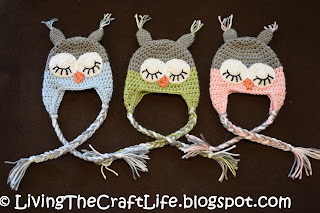 I had finished the three hats (not owl decorations) when I found out the shower was being moved to two weeks earlier! I had to kick it into high gear to be sure they were completed in time. I absolutely love the way they turned out. I almost didn't want to give them away. Glad I did though, check out the final picture. Here is a photo of the triplets! Don't they make the hats look fantastic? !